The PIAA District 1 committee recently approved some drastic changes to the wrestling post-season structure starting in the 2018-19 season. For the first time ever in District 1's history, the AAA teams will compete over two weekends prior to the state championships, instead of three. 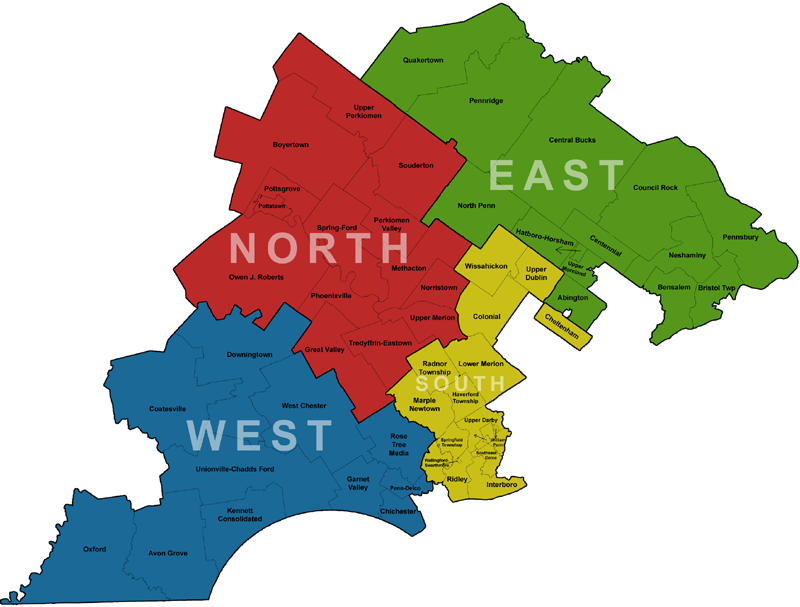 Beginning with the 2019 post-season, the 62 District 1 AAA schools will be divided into four sections based on geography. Each section tournament will feature 15 or 16 teams with full wrestlebacks over two days (Friday evening and all day Saturday). The top four placers from each section will advance to the South East AAA regional tournament to create a 16-man regional bracket. The regional tournament will also be held over two days, like it is now. The section tournaments will take place a week later than the current league tournaments, which will mean the post-season starts a week later than what District 1 has historically had. This is a big change for District 1 AAA wrestling. When the PIAA created two divisions for wrestling starting with the 1974 post-season, District 1 had six sectional tournaments in AAA (for the larger schools). Those six sections fed into two or three so-called "split District" tournaments and then the South East AAA regional. Most years had two District tournaments with a brief experiment to three Districts from 2007 to 2009. That model underwent major changes for the 2013 post-season, when the sections were replaced with seven league tournaments. Those leagues fed into three "split District" tournaments before getting to the South East AAA regional. That structure will be used in 2018 for the last time. After the upcoming 2018 post-season, the post-season journey will be a bit shorter with just the two weekends of action before states. The change was made for a few reasons as some leagues weren't too interested to keep up their tournaments, especially as a post-season qualifier. Under the new plan, leagues can still hold their own league tournaments which can be held anytime during the season and do not count towards competition points. Other reasons for the change included a desire to give teams and wrestlers a break prior to the grueling post-season schedule and also to limit some of the many rematches that take place over three consecutive weeks in the current structure. The District 1 wrestling steering committee (made up of wrestling coaches from all District 1 leagues) came up with the proposal for the changes over the summer and then presented it to the full District 1 committee (made up of principals and athletic directors) at their October meeting. A vote was held at the District 1 committee's November meeting where the plan was unanimously approved for the 2018-19 season. The AA post-season will likely remain the same with a District tournament combining Districts 1 and 12 followed by the South East AA regional, where Districts 1 and 12 are joined by Districts 3 and 11.